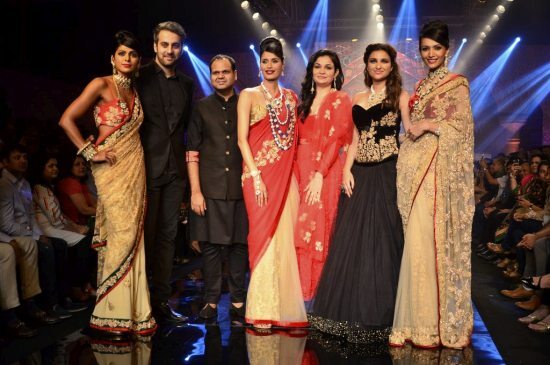 Parineeti Chopra dazzles the ramp in high end Indian couture at the IIJW 2014. 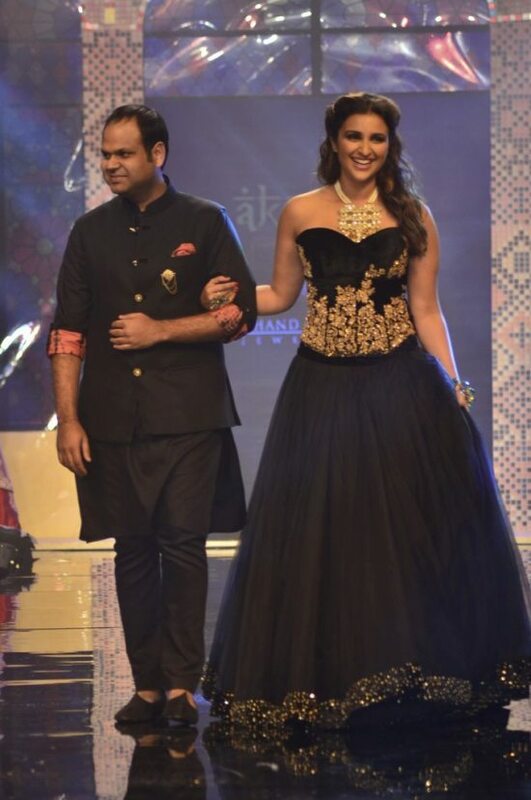 Bollywood actress Parineeti Chopra walked the ramp for Aks by Birdhichand Ghanshyamdas jewellers, at day 3 of the India International Jewellery Week 2014 being held at the Grand Hyatt Hotel in Mumbai on July 16, 2014. 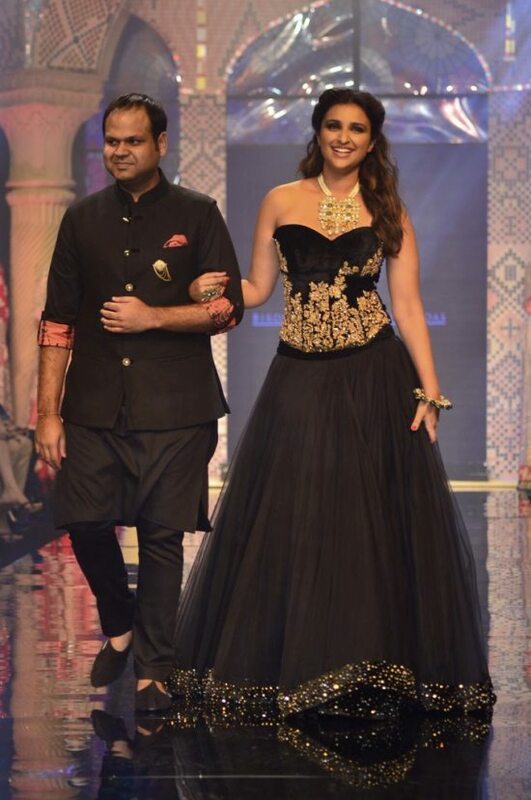 Parineeti looked drop dead gorgeous in strapless black and gold Shyamal and Bhumika sartorial ensemble, the exquisitely crafted neck piece and bracelets complemented Parineeti’s unique style on the ramp. 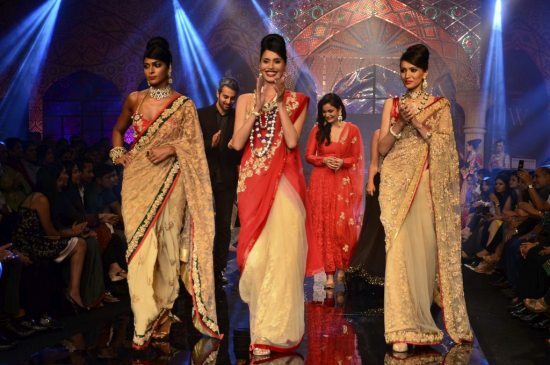 Parineeti will next be seen in the upcoming movies ‘Daawat – e- Ishq’ and ‘Kill Dil’ which are currently under production.